In 1620 the Danes were early arrivals on the Malabar coast, slightly over 100 years after the Portuguese, and hundreds of years after the Arabs, but only a decade after the Dutch who first made their landings at Masulipatnam in 1605, and at Porto Novo (Parangipettai = The place of Foreigners) in 1608. The first British settlers came to Chennai (Madras) in 1639, while the French only arrived in Pondicherry in 1654. Danish culture and language never had a significant impact in Tranquebar, and only built culture, the town road grid and small Protestant congregations, founded by German missionaries, bear witness to 225 years administration by the Kingdom of Denmark. As compared with Catholicism in India, the Danish Lutheran missionaries were spectacularly unsuccessful, mainly due to a lack of flexibility, also inherent in the other small Danish communities of administrators and traders, whereas the Catholic Church with its myriad of saints, rituals and votive offerings appealed far more to potential Indian converts. 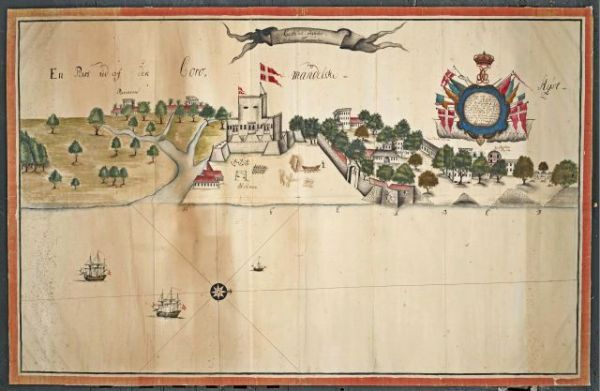 As opposed to the Portuguese, British and French who left a legacy of language, religion, food-culture, uniforms, traditions and personal first- and last names, Denmark does not figure in local perceptions of heritage, and presently no Tranquebar Indian has a familial or historical link to Denmark. Contrasting significantly with the impact of other nationalities who arrived as traders, conquerors and colonisers in South Asia.